How can a startup determine product-market fit? This is the third installment of a four-part series which aims to help early-stage startups navigate their way through a fundraise. Click here and here to read the first and second parts, respectively. Both as a business owner and for the purposes of fundraising, understanding the market that you are trying to build your enterprise in is extremely crucial. But before you have a market to play in, you need to have a problem to solve. Many startups fail simply because they try to address ‘problems’ that don’t exist or are not significant enough from the user or customer’s standpoint or simply the timing is wrong. If the foundation is not well built, even receiving funding does not help the business in the long-run. In other words, there needs to be a fit between the product you build and the market that exists. Customers should need your product to solve a particular problem or address a pain point. Lack of product-market fit causes many startups to crash and burn. A good example of the perils of not finding product-market fit is investment research firm Gridstone. PR Ganapathy, one of the founders and the chief executive of the company, has written about his experience of raising funds from multiple investors, and yet, was unable to make his firm relevant to the financial services industry. Gridstone was founded by senior executives of Infosys in 2005 with the intention of building a software-as-a-services platform to help investment banks analyse public companies. Because of the pedigree of the founders, it very quickly received capital from marquee investors. Within hours of the Infosys’ founders announcing their departure, Gridstone bagged a “friends, family and potential customer” round, and within five months it was able to raise Series A funding. A couple of years later, Gridstone was able to raise Series B funding, and at its peak, it employed 240 employees and contractors. However, in 2010, Gridstone was forced to sell its assets piecemeal to many different entities. Part of the reason was the financial services crisis of 2008-09. However, more importantly, Gridstone was a well-funded startup that had built a solution where no problem existed. It had built a software platform that could read financial statements and populate a database. It was a potential competitor to the likes of Capital IQ and Thomson Reuters, which were also in the business of providing financial data but utilising armies of low paid employees offshore to do the work. Wall Street banks already had access to these third-party databases and if they wanted to source the data directly from public financial statements, they were happy to employ analysts to do that. The technology essentially replaced the BPO-oriented data entry process, which was carried out by an army of low paid employees in India. The output that the tech platform and employees generated did not differ. Getting data from financial statements was not a problem investment banks on Wall Street faced. Where there is no problem, no solution is required. A business addressing this problem is misdirected in such an effort. Defining the market is also essential and can yield very different outcomes in terms of the potential of the business. The definition should be broad enough to allow healthy growth and future upside for the business, yet narrow enough so that it is clear what the business is focused on. For example, ‘manufacturing’ is a very broad market that does not shed light on what the company is going to be doing, and the market for ‘electric vehicles with two doors in Cambodia’ is too narrow as a definition. Also, sometimes new businesses create markets. In other words, it does not already exist. For example, Uber created a market for taxis in small towns where it did not already exist. Or at the very least, it expanded the market. So, looking at the addressable market might be more important than looking at the existing market. Early-stage investors prefer ventures that have had some proof of their business model working. Traction in the business is good evidence of product-market fit. A pilot that received positive feedback, or a product that has started getting traction and is already generating revenue, or a portal that is able to get enough organic users, can all provide comfort. However, if the product or service offering has not been tested out, only incubators, accelerators or very early-stage angel investors might be interested. The fundraising exercise first requires getting the house in order, internally, as discussed above. Creating a business plan and a pitch deck are the obvious next steps. 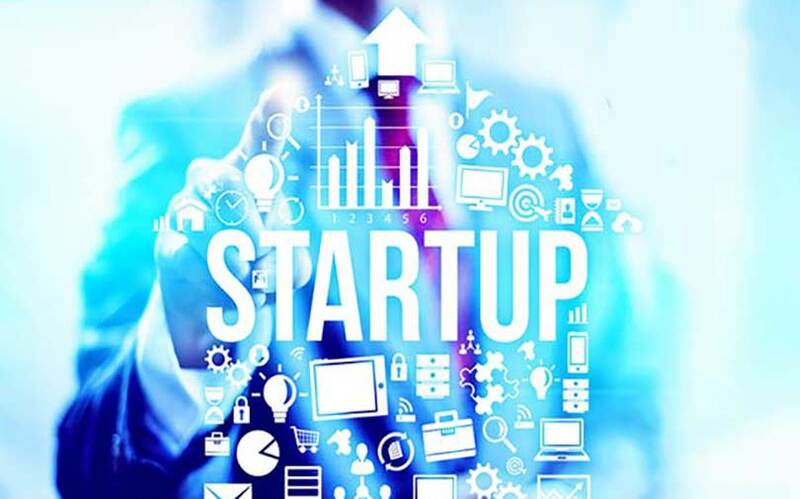 A high-level business model that provides an in depth understanding of the current and potential market size and market share the startup is looking to capture, along with key costs, is much better than a detailed five-year projection which has no support. Detailed balance sheet and cash flow projections are not required at this stage. The pitch deck should again speak to the team, market, product, traction and upside opportunity. The author is a former investment banker, an advisor in the technology sector and currently works as a strategy professional in the telecom industry. The views and ideas expressed are personal.